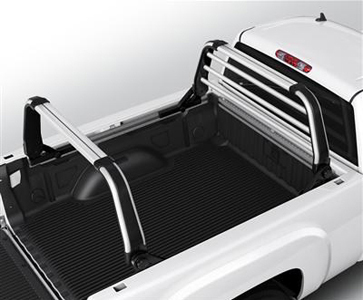 Add cargo management versatility to your Silverado bed with these Overhead Bed Dividers with Bed Divider Cross Tubes. They attach and slide on the Cargo Management System rails. Use of this item requires a center high mounted stop lamp (CHMSL, part number 19165908). Cargo and load capacity limited by weight and distribution. Secure loose items before driving.